It's the final episode of the first season of Never Not Grateful! Today we are sharing messages of gratitude from you. Many of you called the Gratitude Hotline and shared what you are thankful for as we head into the new year. I am so excited to share this episode, as listening to these messages of gratitude brightened my day, and I know they will make yours a little better as well. Don’t forget to check out the Never Not Grateful BONUS Guided Gratitude Practice. Call the Gratitude Hotline and leave a message of gratitude! You might be featured on a special upcoming episode of the podcast. Just call (913) 717-7936! Visit us on Instagram @NeverNotGrateful Follow Megan on Instagram @crazy_bananas Find all of our episodes and shownotes at Crazy Bananas. Please rate, review and SUBSCRIBE! After a little break, Never Not Grateful is back and it's December, which can mean STRESS for a lot of people! We know we can get easily overwhelmed in December, a month that's supposed to be about joy and giving, but can easily devolve into endless to-do lists and overwhelm. In today's episode, Megan talks about how she is battling the December crazies this year by refocusing on her current gratitude practice and adding some new techniques as well. This episode if for anyone who is feeling tired, hungry and just about DONE with the holidays already! Don't forget to check out the Never Not Grateful BONUS Guided Gratitude Practice: https://itunes.apple.com/us/podcast/never-not-grateful/id1422537885?mt=2# Call the Gratitude Hotline and leave a message of gratitude! You might be featured on a special upcoming episode of the podcast. Just call (913) 717-7936! Visit us on Instagram - www.instagram.com/nevernotgrateful/ Follow Megan on Instagram - www.instagram.com/crazy_bananas/ Find all of our episodes and shownotes at www.crazybananas.com/never-not-grateful-podcast/ Please rate, review and SUBSCRIBE! In today's episode of Never Not Grateful, Megan interviews her friend Marian, an engineer, rancher, mother, widow and overall amazing human. Marian talks about how she approaches gratitude from a rational perspective, how she used gratitude to work through her ongoing grief after the death of her husband and how her long-term gratitude practice has affected her life. You're going to love this one! Mentioned in this episode: "The Art of the Long View: Planning for the Future in an Uncertain World" by Peter Schwartz - https://amzn.to/2RYqxgp Hallmark Holiday Movie Schedule - http://www.hallmarkchannel.com/christmas/2018-holiday-movies-preview/1 Call the Gratitude Hotline and leave a message of gratitude! You might be featured on a special upcoming episode of the podcast. Just call (913) 717-7936! Visit us on Instagram - https://www.instagram.com/nevernotgrateful/ Follow Megan on Instagram - https://www.instagram.com/crazy_bananas/ Find all of our episodes and shownotes at http://www.crazybananas.com/never-not-grateful-podcast/ Please rate, review and SUBSCRIBE! In this episode of Never Not Grateful, host Megan Peters shares a recording from August of 2018 that she did as a part of the StoryCorps travelling tour with her dad, Brian Spooner. StoryCorps’ mission is to preserve and share humanity’s stories in order to build connections between people and create a more just and compassionate world. All of the interviews recorded with StoryCorps are archive at the U.S. Library of Congress. You can learn more about StoryCorps at https://storycorps.org/. Brian Spooner is a University Distinguished Professor of biology and director of Kansas State University's Division of Biology, and also served as Interim Dean of the College of Arts and Sciences. His research has focused on a fundamental understanding of the behavior of cells and cell populations that produces organs and organ systems during embryonic development. He also transitioned aspects of his research into space, with experiments on 18 space shuttle flights. Most importantly, he is "Dad" to Megan and her siblings. Brian is a husband, father, scientist, and very wise person. Hope you enjoy this personal episode of Never Not Grateful! Follow along on Instagram at https://www.instagram.com/nevernotgrateful/ or follow Megan on Instagram at https://www.instagram.com/crazy_bananas/. You can find all of our episodes at http://www.crazybananas.com/never-not-grateful-podcast/. Please rate, review and SUBSCRIBE! Are you feeling frustrated, angry, hurt or upset? Maybe you're exhausted, worn out or overwhelmed? Today's bonus episode of Never Not Grateful will help you move into the rest of your day with gratitude. Megan leads you in a guided gratitude break that you can listen to whenever you feel the need to reframe your day with a positive mindset. Listen while you're at your desk, out on a walk, or hiding from your kids in a locked bathroom (we've all been there). I hope this short, guided practice helps you find gratitude, even when life is hard. 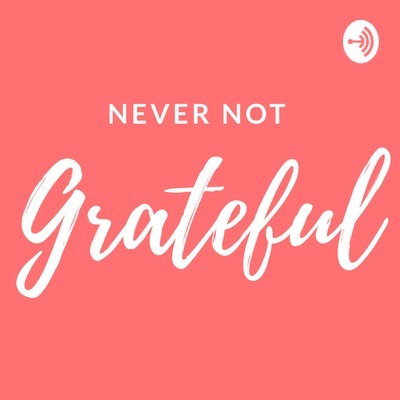 Find Never Not Grateful online at http://www.crazybananas.com/never-not-grateful-podcast/. Find Never Not Grateful on Instagram at https://www.instagram.com/nevernotgrateful/ Find Megan on Instagram at https://www.instagram.com/crazy_bananas/ Please call our Gratitude Hotline and leave a message with something you're grateful for! These messages will be featured on an upcoming special episode of Never Not Grateful. Call 913-717-7936 to leave your gratitude voicemail. This episode features an interview with artist Tammi Salas, author of the new book, "My Daily Gratitude Practice: How I Got Started and Found My Visual Voice." Tammi is a California native and sober creative. She co-hosts The Unruffled Podcast- www.theunruffled.com/the-unruffled-podcast/, a weekly show that explores all topics relating to creativity and recovery. Tammi has written a gratitude list everyday since December 10, 2015 and has combined this practice with a meditative art practice. Tammi documents all of her creative forays and offerings, including her the new printing of her book, over on her website www.tammisalas.com. You can find also find her on Instagram @tammisalas- www.instagram.com/tammisalas or get inspiration from over 2,700 collective gratitude lists collected under the hashtag #tammisgratitudetribe. ------------------- Don't forget we have a Gratitude Hotline! Please call 913-717-7936 to leave Megan a message with your own list of gratitudes. These will be featured on a special upcoming episode of Never Not Grateful. Follow the podcast on Instagram @nevernotgrateful - www.instagram.com/nevernotgrateful Follow Megan on Instagram @crazy_bananas - www.instagram.com/crazy_bananas Find more information and all our show notes for past episodes at http://www.crazybananas.com/never-not-grateful-podcast/ Please don't forget to rate and review Never Not Grateful on Apple Podcasts and subscribe to this podcast wherever you are listening!!! Megan interviews author and blogger Dana Bowman about her gratitude practice. Dana shares some of her biggest challenges and how sustaining gratitude has helped her through tough times. We also address when gratitude doesn't make us feel better right away. Mentioned in this episode.... Dana's Books: How to Be Perfect Like Me - https://amzn.to/2xjL8UO Bottled: A Mom's Guide to Early Recovery - https://amzn.to/2MGos5P Dana's Today Show Segment - https://www.today.com/video/-i-am-a-mom-in-recovery-woman-shares-journey-through-alcoholism-1312535619822 Find Dana online at https://momsieblog.com/ More info about "morning pages" via The Artist's Way - https://amzn.to/2MMC13W Follow Never Not Grateful on Instagram at instagram.com/nevernotgrateful or @nevernotgrateful Follow Megan's pets on Instagram at instagram.com/teddyandpickles or @teddyandpickles Follow Megan on Instagram at instagram.com/crazy_bananas or @crazy_bananas. Find Megan online at crazybananas.com. It's our first interview! Today Megan chats with Christina, a mom, concert cellist and member of her gratitude group. Christina shares how she discovered a daily gratitude practice and how she uses gratitude in her daily life. As the matriarch of a blended family, Christina explains the ways being grateful helps her on the journey of motherhood and step-motherhood. She also talks about how she finds being of service to others as the ultimate way to manifest gratitude. You'll want to take notes while listening to this one, because there is so much wisdom here! You can find Megan on Instagram at @crazy_bananas www.instagram/crazy_bananas or at www.crazybananas.com. Don't forget to share, rate and review so we can get this new podcast heard by the people that need it! Cultivating a robust gratitude practice can be an overwhelming endeavor. So today I'm sharing a few of my favorite tips to get started! Here are links to some of the items mentioned in this podcast: How to Bullet Journal - https://www.youtube.com/watch?v=fm15cmYU0IM Megan's Bullet Journal - https://amzn.to/2N3NTT3 Megan's Gratitude Playlist (on Spotify) - https://open.spotify.com/user/1236600249/playlist/1hjK3KPd8U11ce3IpDE9wA?si=rEymZk8fTyKp6rM_n84AbA Awesome with Alison Podcast - http://thealisonshow.com/podcasts/ Awesome with Alison Free Gratitude Practice - http://thealisonshow.com/podcasts/awesome-with-alison-ep-24-im-freaking-grateful-a-gratitude-practice-to-help-you-love-your-life/ Mista Cookie Jar and the Chocolate Chips - http://mistacookiejar.blogspot.com Follow Megan on Instagram at @crazy_bananas www.instagram.com/Crazy_Bananas or at www.crazybananas.com. Don't forget to share, like and review this podcast! It's the first official episode of Never Not Grateful! In today's episode, you'll meet your host, Megan Peters, a photographer, writer, mother and former gratitude skeptic. 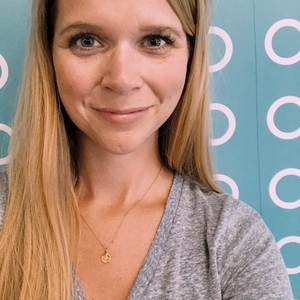 Megan shares how her journey led her to using a gratitude practice to make her life a little better every day. You'll also learn how this podcast will explore gratitude through stories from women in all walks of life. Follow Megan on Instagram at @crazy_bananas www.instagram.com/Crazy_bananas or on her blog www.crazybananas.com. Please share and subscribe so we can get this new podcast heard by the people that need it!